Our Church is very serious about her liturgy and, therefore, only ordained ministers serve the liturgy and distribute the holy sacrament. The laymen can help at the liturgy (for example, to open the altar gate and to light the altar candles). The laymen can also read the Scriptures during matins and vespers. Such laymen are called “subdeacons” or “readers.” To become a reader, a man needs to receive a special blessing. Last Sunday in the parish of Saint Andrew our bishop, Vsevolod, conducted the rite of blessing of subdeacon for Seminarian Yury Kulikov. Yury Kulikov (born in 1982) is a real Siberian: he grew up in Olekminsk in Yakutia (the north-eastern part of Siberia). Yakutia is officially the coldest place on earth, with winter temperatures there reaching -80F. Following graduation from the State Pedagogical University in Yekaterinburg in 2003, Yury worked as a schoolteacher. Being a member of the Baptist congregation in Yekaterinburg from 1999, Yury assisted a pastor there, leading the youth ministry. Continuing his theological self-education, Yury grew increasingly dissatisfied with Baptist “theology,” a path which finally led to his confirmation in the parish of Saint Peter and Saint Paul (SELC) in 2015. 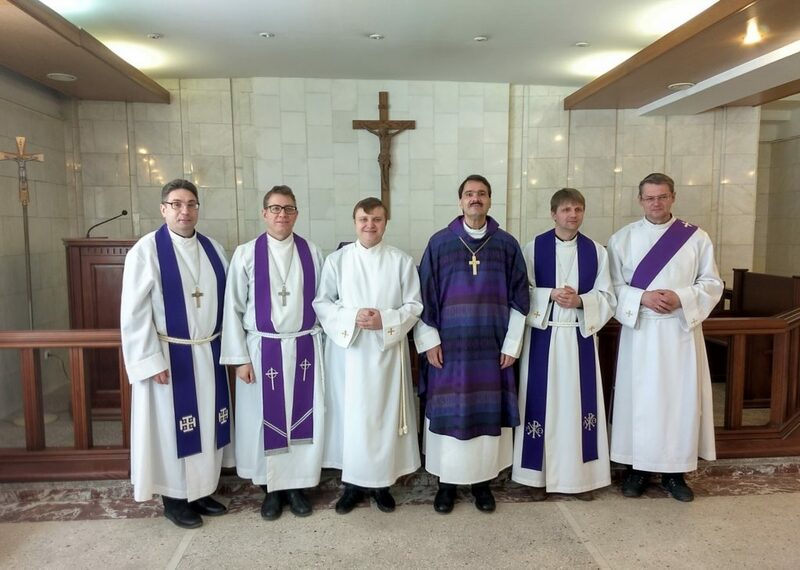 Yury entered the Lutheran Theological Seminary in Novosibirsk at 2016. So, now he is in his third year of studies. Yury’s wife, Ekaterina, currently works as a schoolteacher at the state elementary school in Novosibirsk. 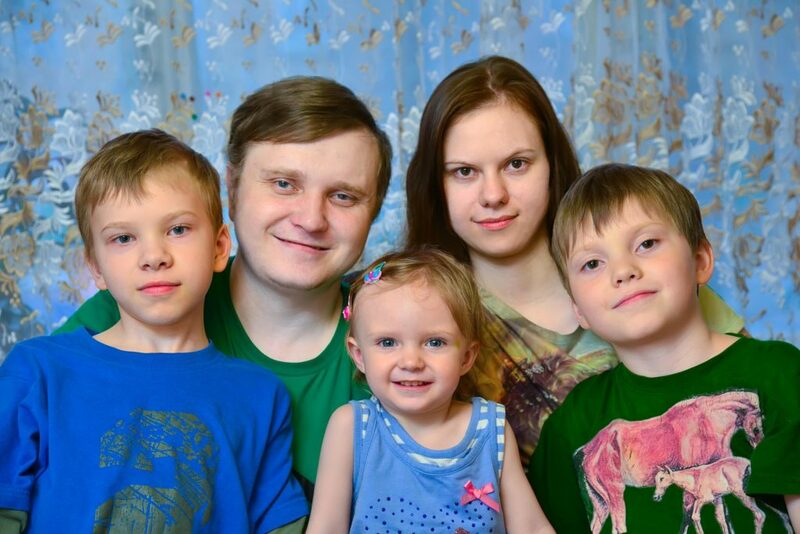 Yury and Ekaterina have 3 children: David (born in 2005), Kristopher (born in 2006), and Maria (born in 2013). “Beloved brother, God the Father revealed the mystery of salvation, and completed it through His Son Jesus Christ, Who became Man and, after He told us all, has entrusted to the Church the responsibility to preach the Gospel to all creation. Becoming a reader, you will proclaim the word of God, assisting the Church in the fulfillment of this duty. You will obtain a special mission in the community of God’s people and will be assigned to service of the faith, rooted in the word of God. 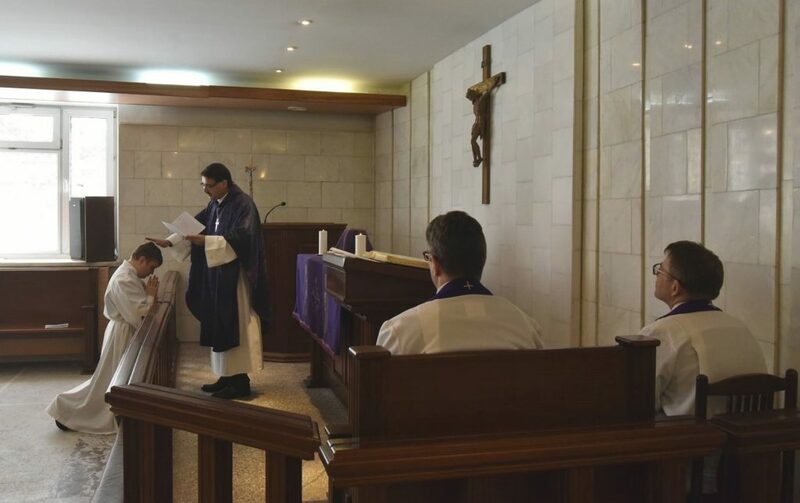 “For you will proclaim the word of God in the liturgical assembly, will teach the faith among children and adults, and prepare them to receive the sacraments properly. You will also proclaim the message of salvation to people who does not already know it. Thus, with your help people will come to know God the Father and the Son, Whom He sent, Jesus Christ, and obtain the eternal life. 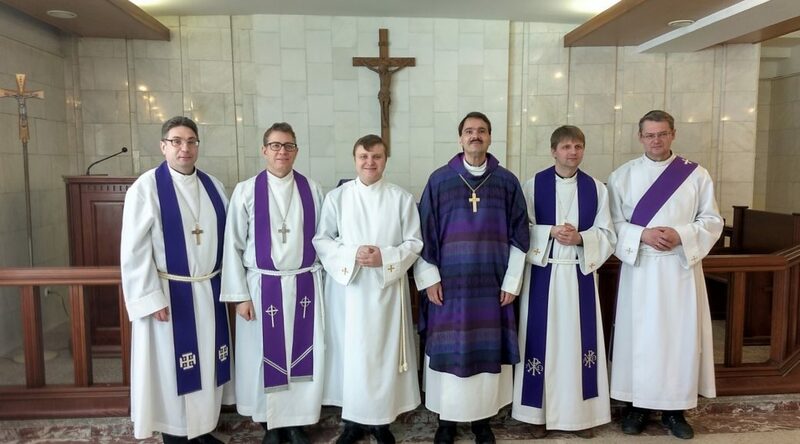 Please pray for the Siberian Lutheran clergymen and their helpers. Especially pray for subdeacon, Yury Kulikov, and his family.